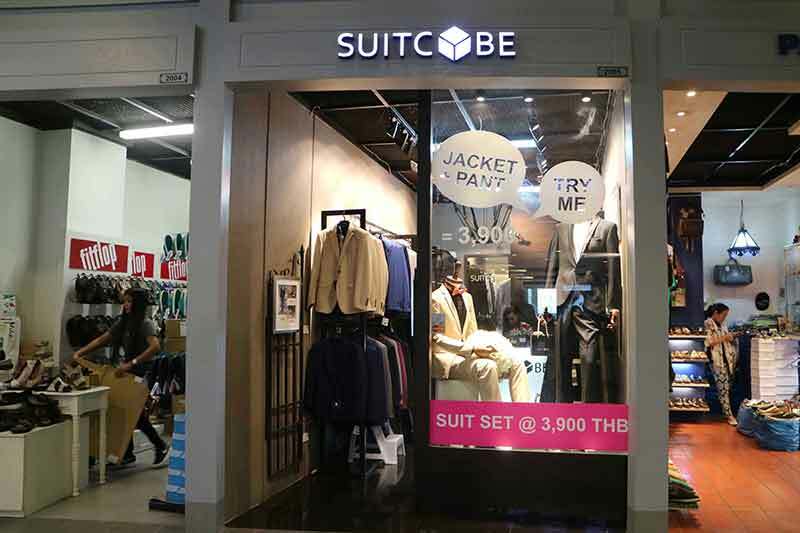 ASOKE TERMINAL21 Tailor shop SUITCUBE , is ready to serve you with highest quality suits. There are many tailors in Bangkok, but none of them match our values. SUITCUBE has both ready-to-wear (RTW) suits and bespoke. We truly want to give locals the best possible price and quality, so we never put a high margin on our garments. Since we have an in-house production, therefore we can control our cost and quality, unlike most shops in the market. Our staff has been through an intensive qualification before serving customers. Our promise is to give a perfect memorable moment.